In which other color do आप wanna see the Aurora's dress? what would आप like Aurora's dress? Is aurora your प्रिय princess? प्रशंसकों के पसंद: One of my favorites. What do आप think Aurora would like if the curse was different? what do आप think Aurora would be like if the curse had never happened? Do आप think Aurora and Phillip make a great couple? Aurora is one of my प्रिय डिज़्नी Princesses. She has many wonderful traits which make her likable and a good role model. This is exactly the same as my लेख over on the DP club, JSYK. A gay little लवा, लर्क melody? 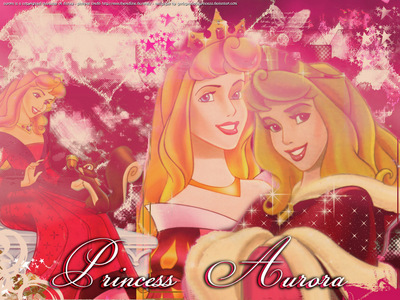 Hail to the Princess Aurora! All of her subjects adore her! Long live the Princess Aurora! Notes: Reprisals of this song द्वारा the chorus occur at the beginning and end of the movie. a poll जोड़ा गया था: Favourite Limited Edition Doll? a comment was made to the poll: Is Aurora your most beautiful डिज़्नी Princess?